Croatia is known for sporting prowess. It’s place in Europe and geographical features mean that almost any type of sport and recreation can be catered for. And with a mild year-round climate, which is the envy of many, it means that most sports can be enjoyed throughout the four seasons. 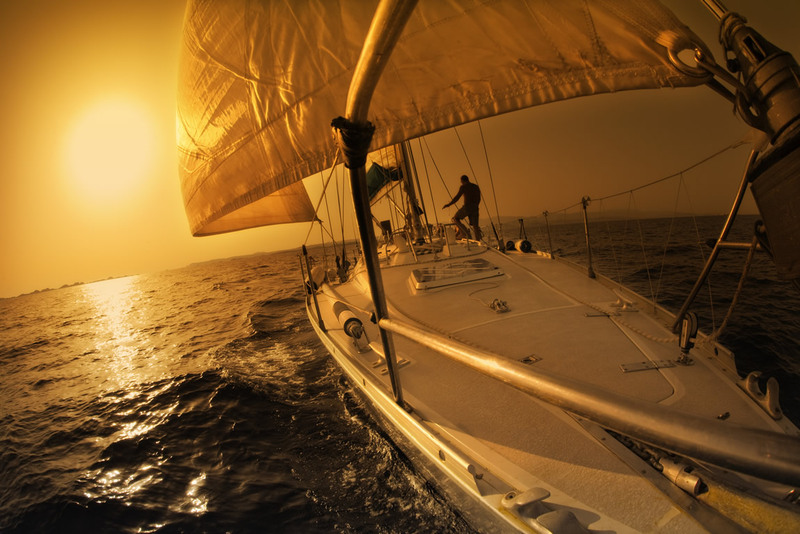 The coastline of Croatia makes it ideal for sailors of any proficiency. The delights of a day on the sea, followed by an evening in one of the many coastal towns and villages, sampling the food and drink on offer, has to be one of the greatest pleasures for any vacationer. Villages which barely see human visitors, sheltered bays and wide open seas mean that there is variety wherever you look, and with more than a thousand islands, many of them within easy reach of the mainland, it’s certain that you’ll never get bored. If handling a sailing vessel isn’t for you, then you try your hand at sea kayaking on our Arches, Caves and Islands Tour, where you can visit three beautiful islands and two quaint villages brimming with the sort of charm this country is so famous for. The amazing feeling you’ll get, from piloting your own kayak in the sea, is something that is an exhilarating experience. Go rafting on the Cetina river, snorkeling in a peaceful bay or take yourself exploring fascinating places like the Green Cave. Or, if you are feeling even more adventurous and want to experience one of those life-affirming thrills which really get the blood pumping, you could try cliff-jumping into the warm and pristine blue waters that makes the Adriatic so popular. 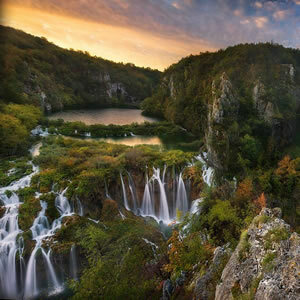 Away from the coastline and in the hotter interior of the country you could cool off by visiting one of the thousands of waterfalls, lakes or rivers on offer, or simply immerse yourself with the simple pleasures of a country walk, enjoying nature at its best in one of Croatia’s three National Parks. 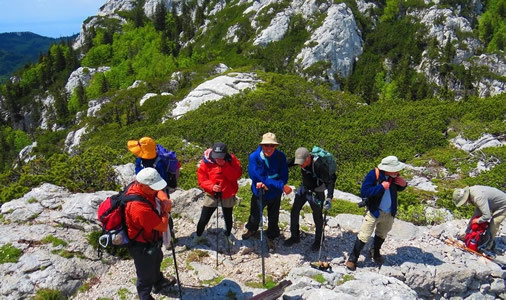 For more thrill-seeking fun there are endless rock climbing routes, many of them equipped with bolts and with the promise of a spectacular view of the Croatian countryside at the end of your ascent. For something less adrenalin pumping why not take a leisurely walk or cycle around the stunning coastline, or perhaps go trekking in the interior. Whether you do it alone or as part of a group, you’ll be stunned by the historical and architectural marvels that Croatia offers. With plenty to explore, Croatia really does punch above its weight when it comes to getting your money’s worth. 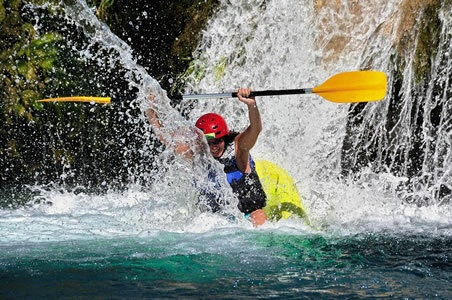 Croatia’s mild Mediterranean climate makes it possible to enjoy the many sport and leisure activities all year. So, whether it’s cycling, sailing or walking, as a group or alone, Croatia gives you endless options and opportunities to explore and get to know her at any time of the year. Villa Small Lagoon is a beautiful stone house located in a small place called Bobovisca on Island of Brac. Villa Bonaca is a traditional Dalmatian stone house situated in the centre of the picturesque village of Sumartin on Brac, right by the sea. Its position means it is close to shops, restaurants and coffee bars.